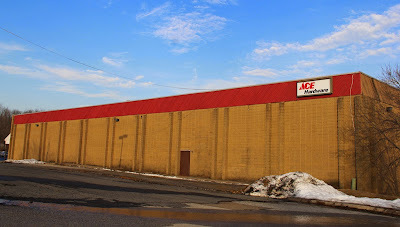 Acme closed here in February 2011. 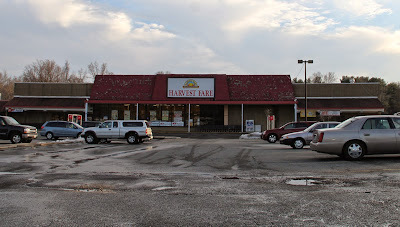 Independent grocer Harvest Fare opened in the space shortly thereafter. 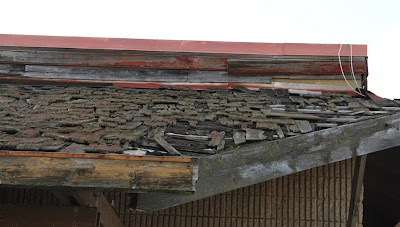 I had wondered what the new owner had done with the interior. 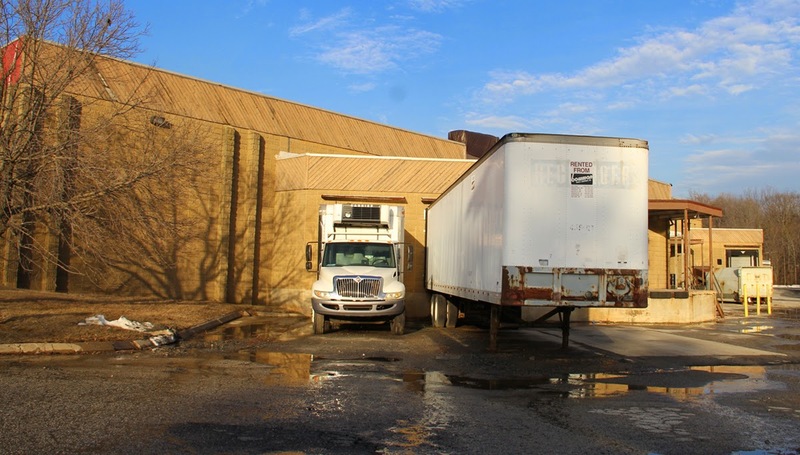 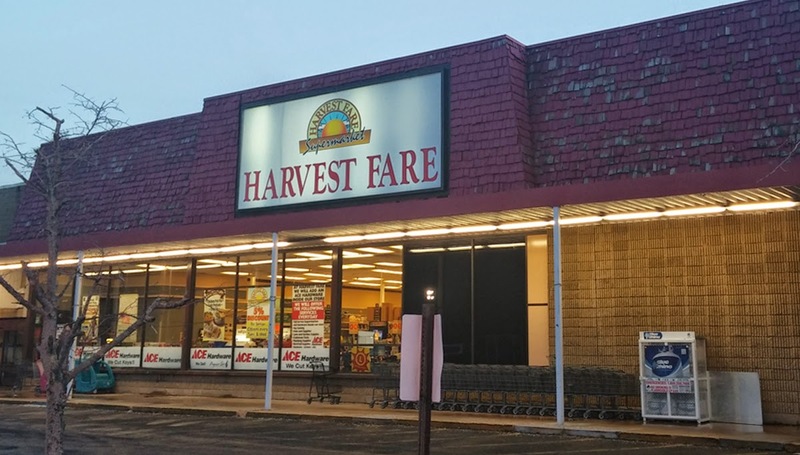 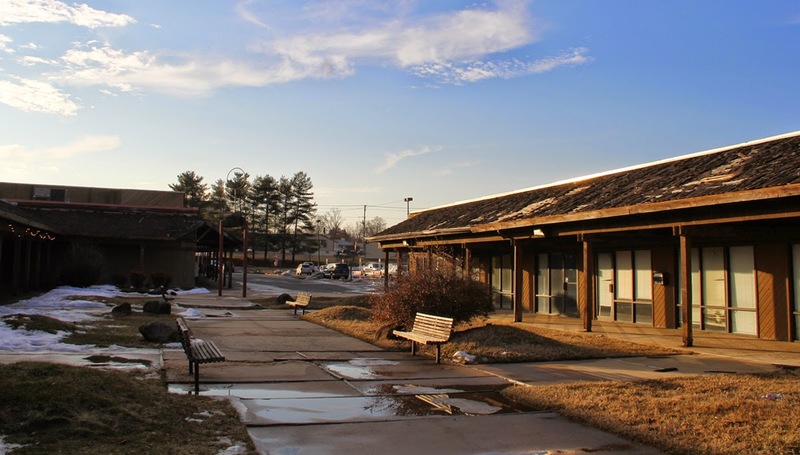 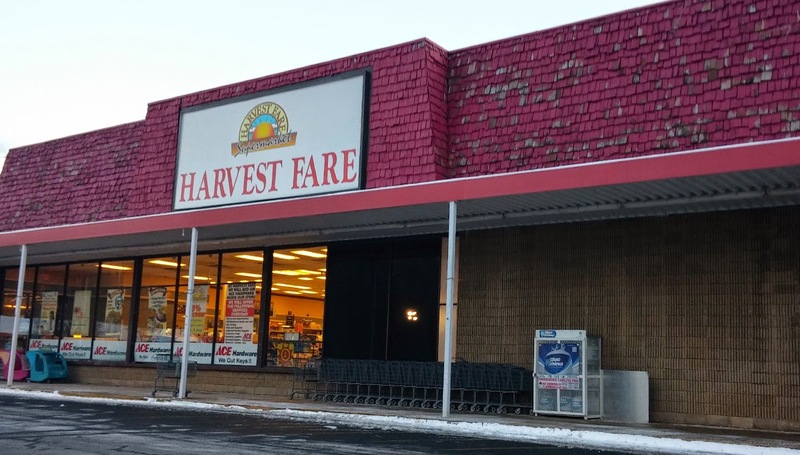 Articles about the Harvest Fare moving in did mention renovations were planned for the store. 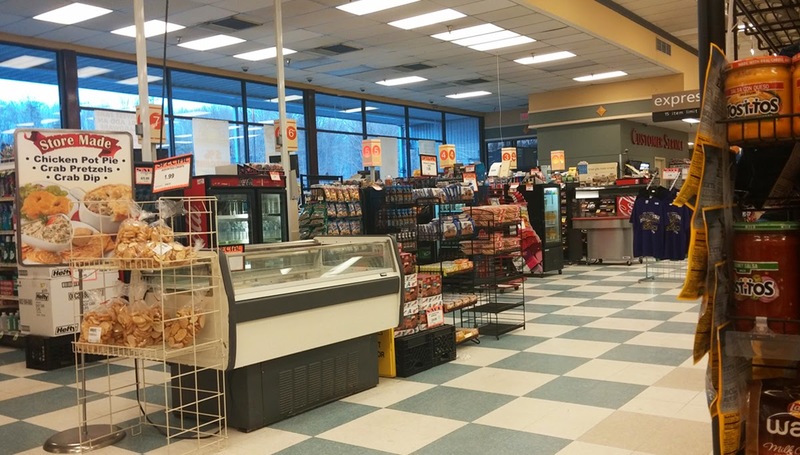 To view the store while it was still an awesome Acme, please click here. 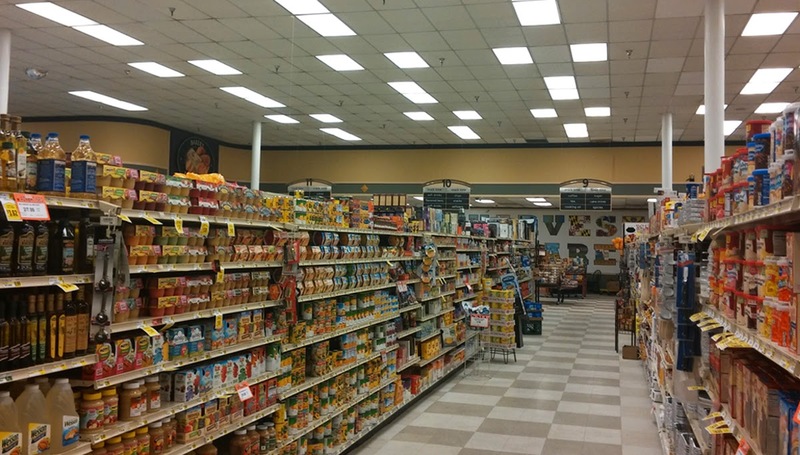 A few weeks ago, Will sent in a couple of interior photos. 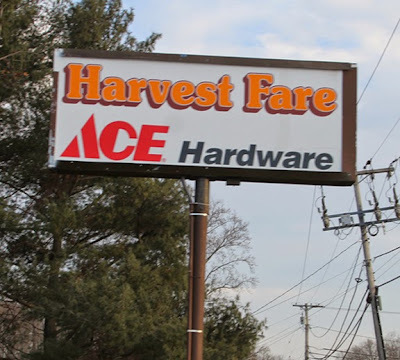 He pointed out that an ACE Hardware department had set up shop right in the grocery aisles. 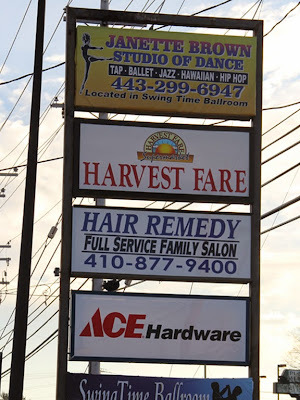 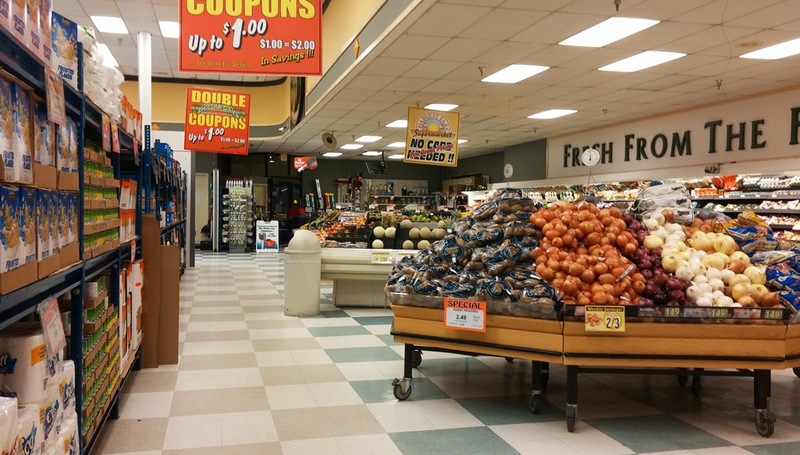 The company is currently pursuing the store-with-in-a-store concept to grow sales. You can read more about that by clicking here. 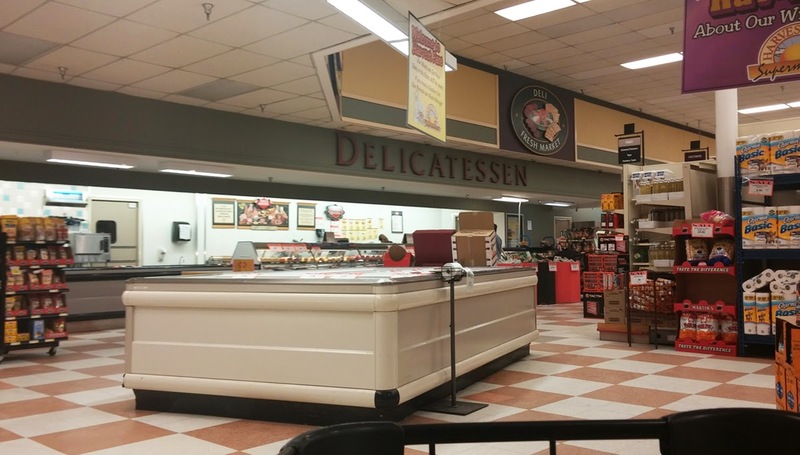 Will also mentioned how he noticed some Safeway decor elements around the interior. 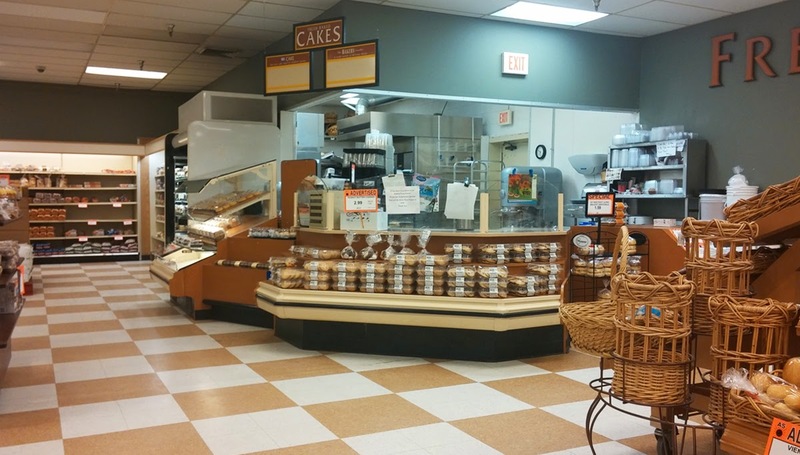 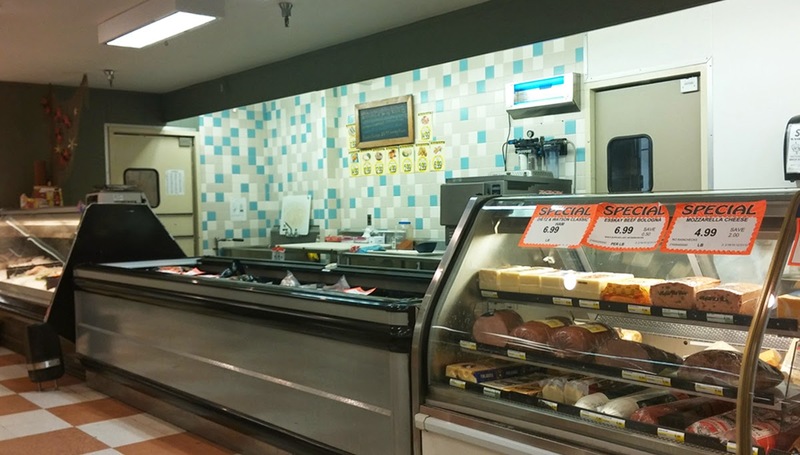 While looking at the first couple of photos he had sent in, I realized the WHOLE store is done in Safeway's decor! 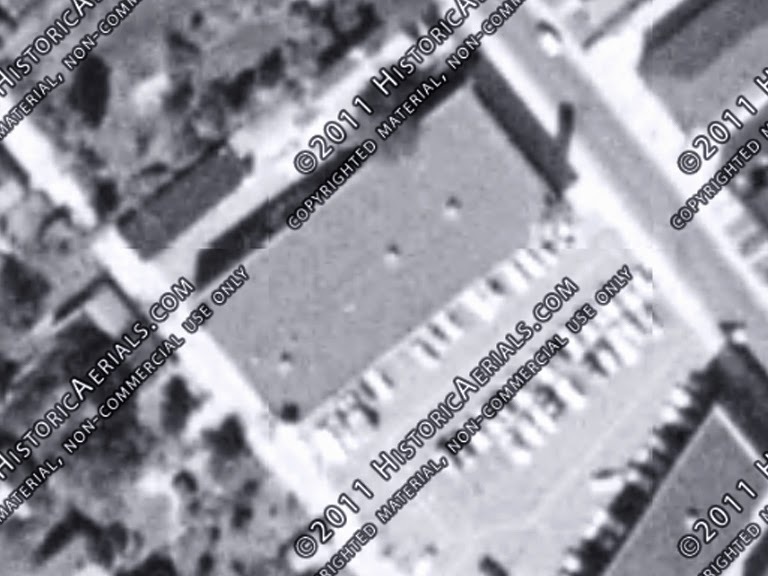 Found that to be very strange as did Will. 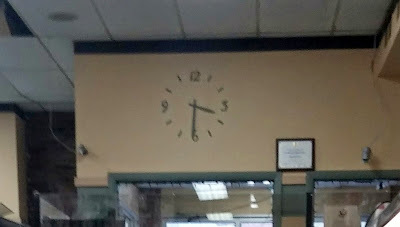 I believe the decor here is what Safeway was using prior to its "lifestyle" concept. 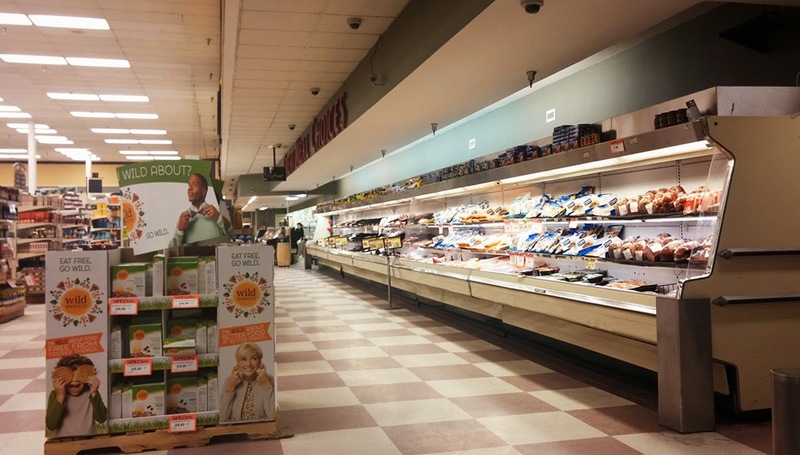 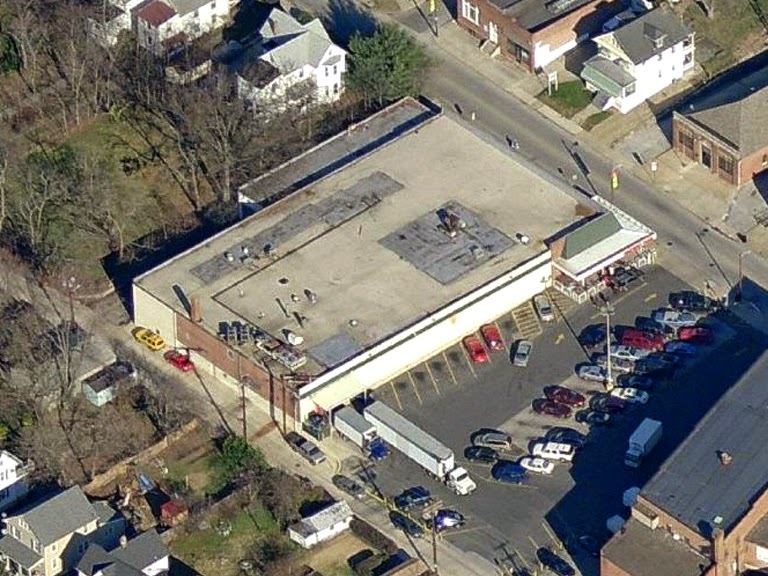 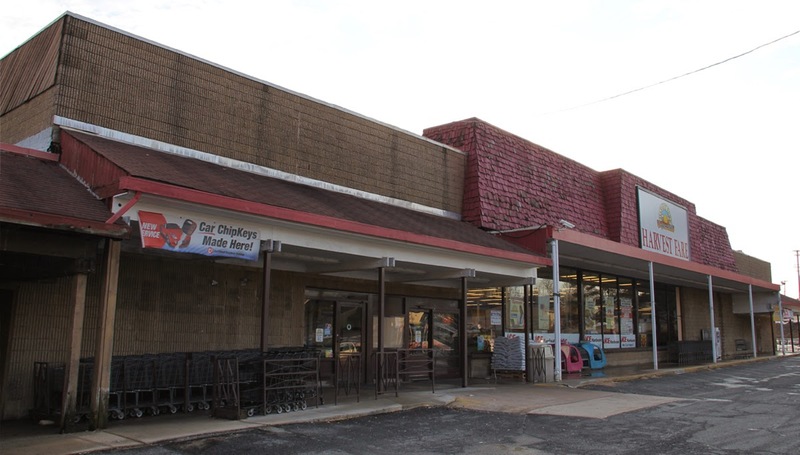 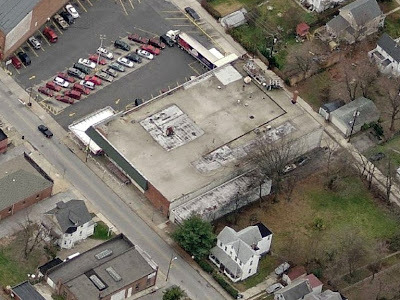 You can see a sampling of that decor package at the former Norristown Safeway by clicking here (scroll down past the former Acme/Big Lots). 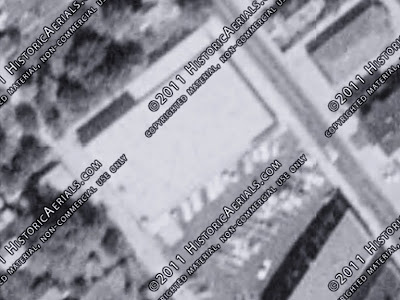 The checkerboard floor is still there! You can see the ACE Hardware department takes up about 2 1/2 aisles. ACE's aisle markers are side mounted rather than hanging from the ceiling. 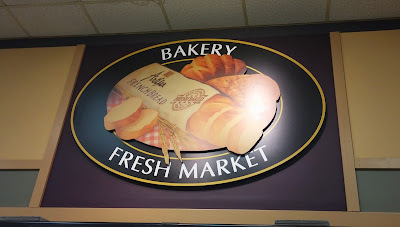 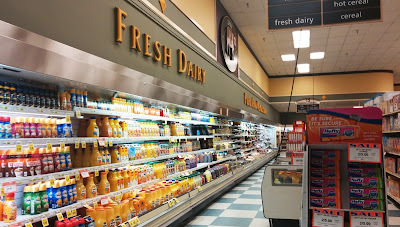 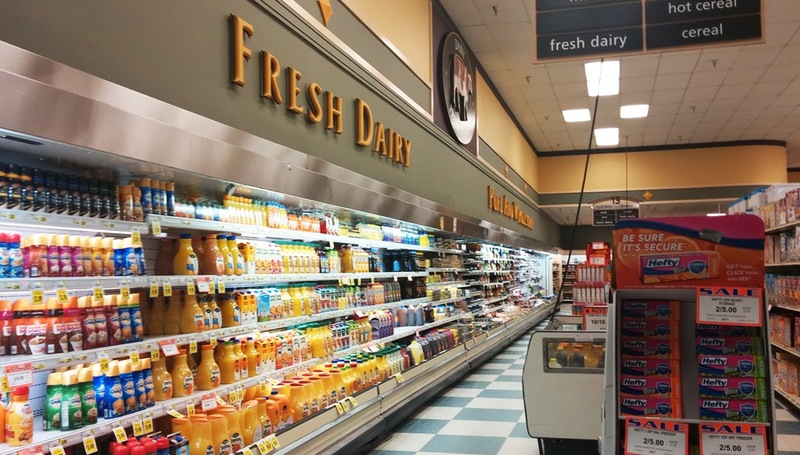 Notice Safeway decor on the walls including the word "FRESH". As I've mentioned in past posts of 33M stores, produce cases ran along the produce aisle right where you see the beige and blue tiles meet. 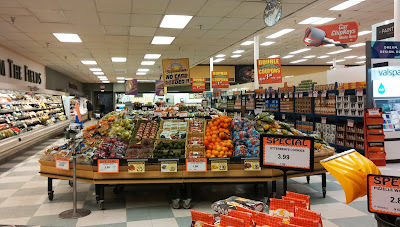 The Produce department used to be very secluded from the rest of the store. 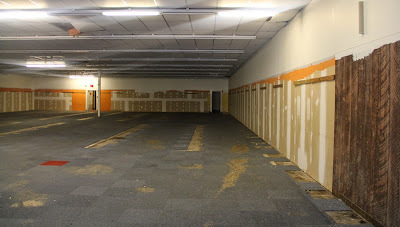 Those cases and the shelving from the one side of aisle one were removed in the 90's to open up the departments. It's hard to tell from the photos but it looks like some new cases have been put in while others are fixed up cases leftover from the 80's remodel. 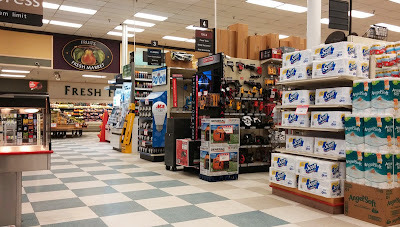 I think the Safeway decor looks pretty good in here and actually works well with the checkerboard floor. 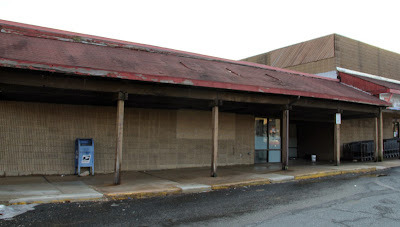 The tiled back wall is left over from Acme. 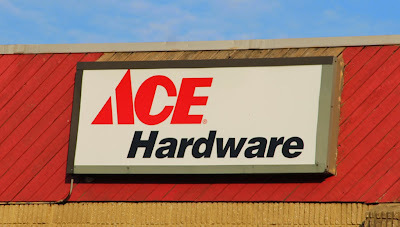 The back end of the ACE Hardware aisles. 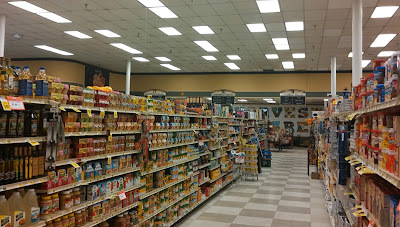 Center aisle in the ACE aisles. Nice wide shot of the interior! 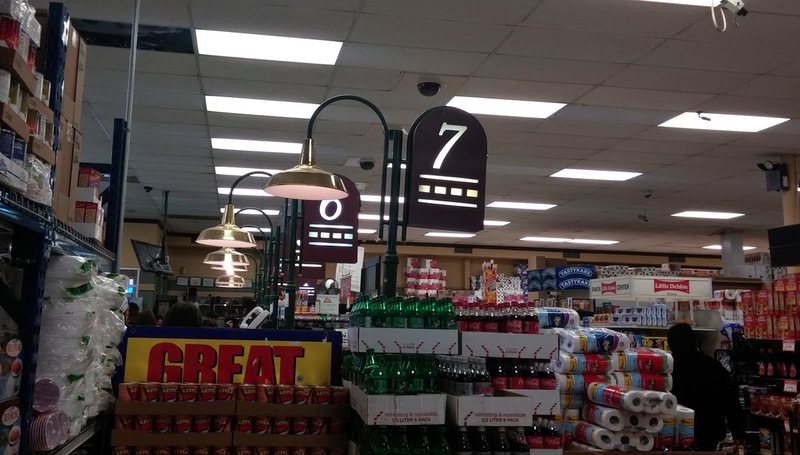 Safeway aisle markers hanging from the ceiling. 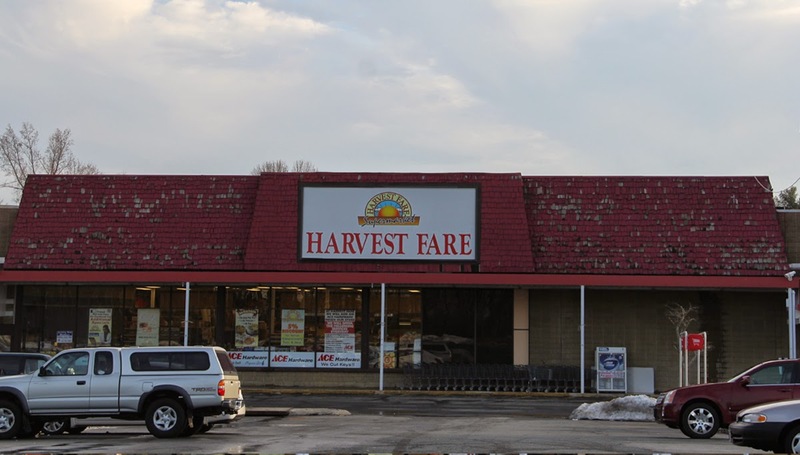 SuperValu is Harvest Fare's supplier. 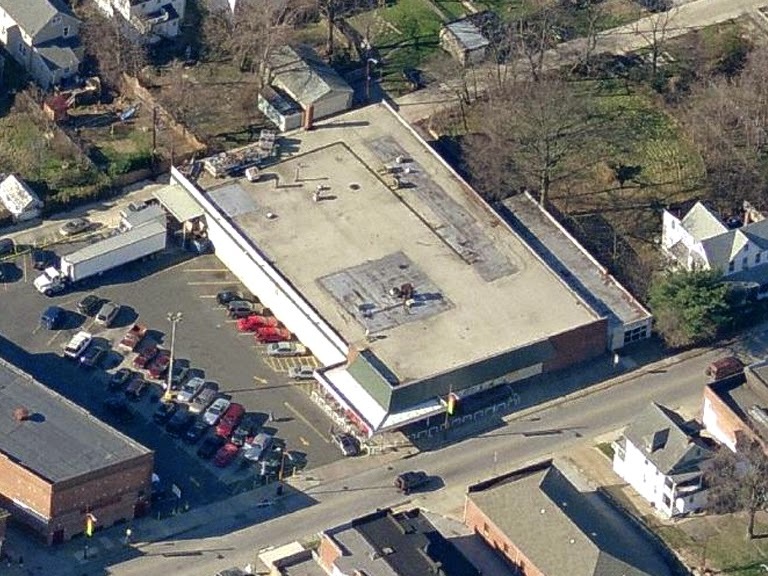 I remember reading about that as the grocer was preparing to take over the building. A similar situation happened at the former Acme in Jersey City. 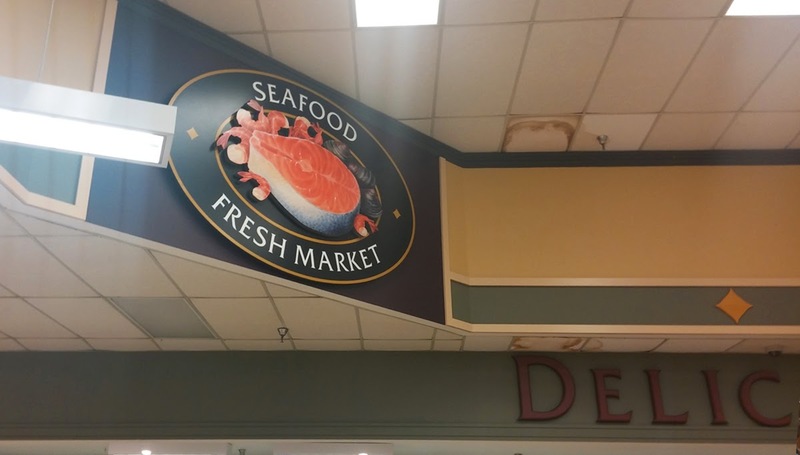 A win-win for SuperValu. 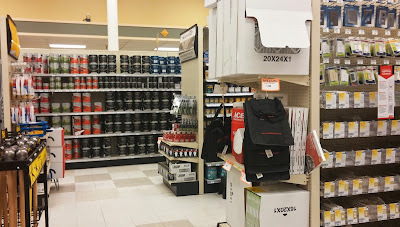 They got to loose the hassle of owning the stores but kept their products on the shelves. 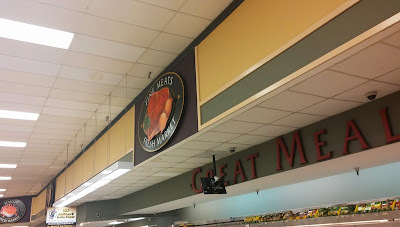 You can see the redesigned Wild Harvest logo on the display there. SuperValu recently relaunched the line of health food. 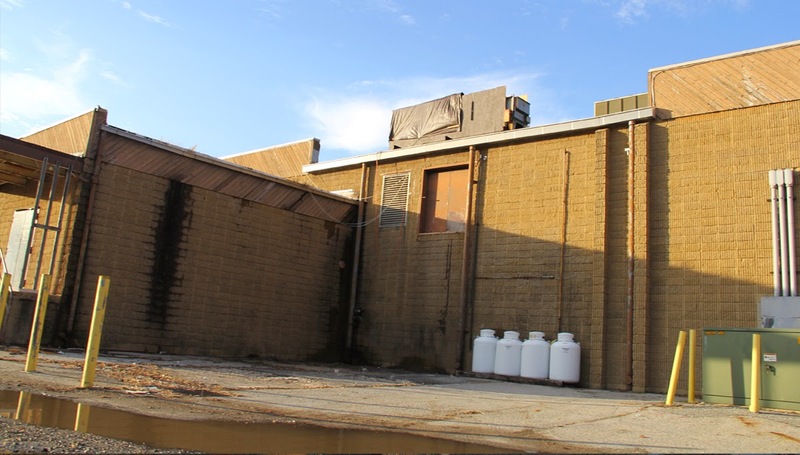 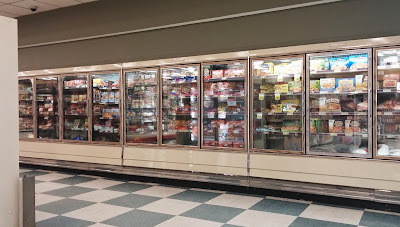 Freezers along the back of the store. 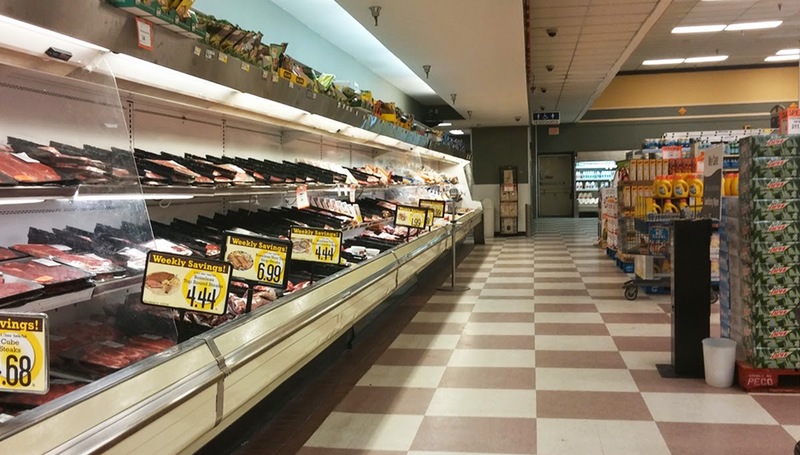 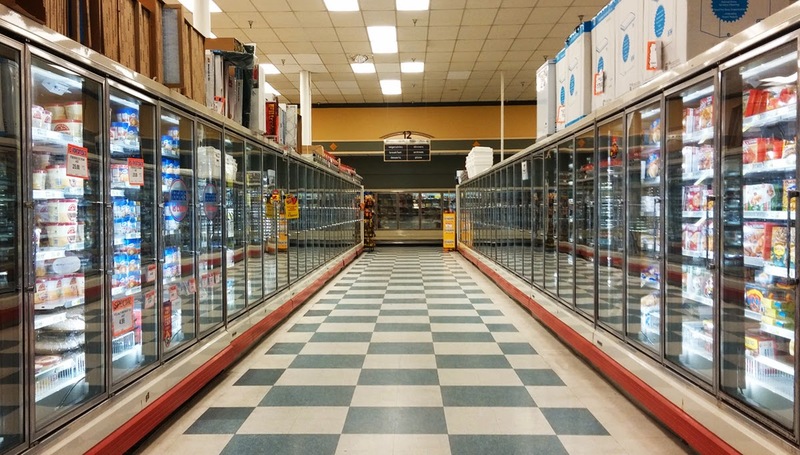 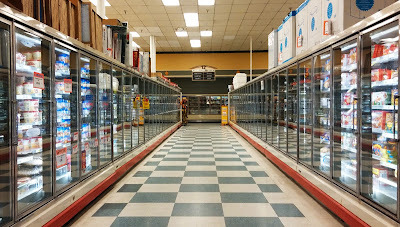 The installation of new frozen food cases at some point cost the Frozen Food aisle some of it's blue tiles. 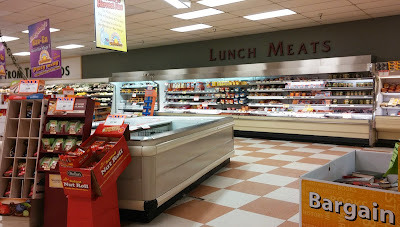 These stainless steal panels along the tops of the cases are a nice touch, I have to say. 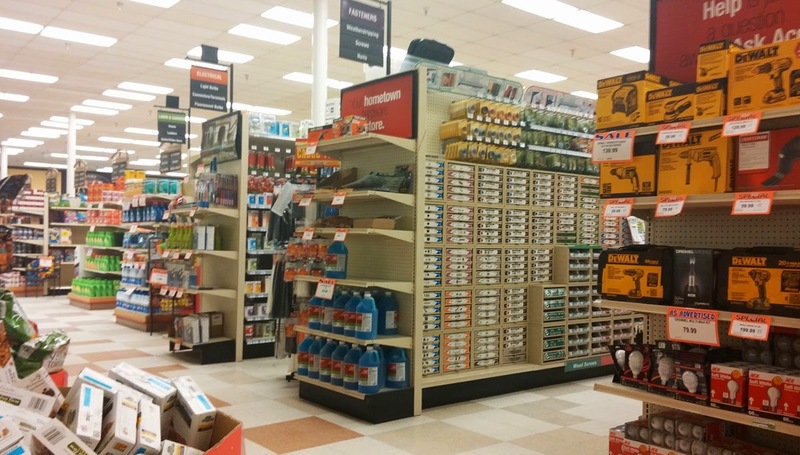 I think overall the store looks really great. 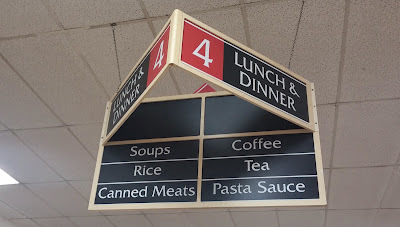 Close-up a the Safeway aisle marker. 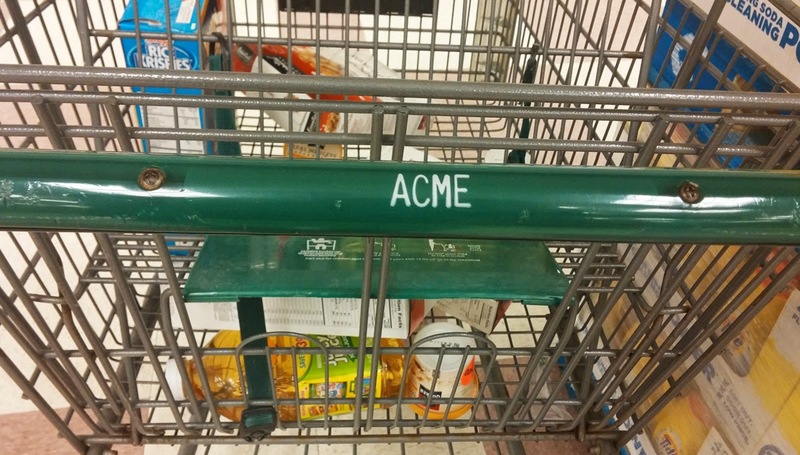 They're still using Acme's carts! 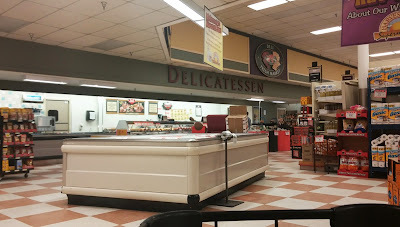 So the million dollar question is... how did an old Safeway decor package wind up in this place? 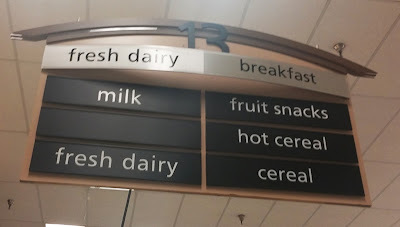 I certainly don't have the answer. 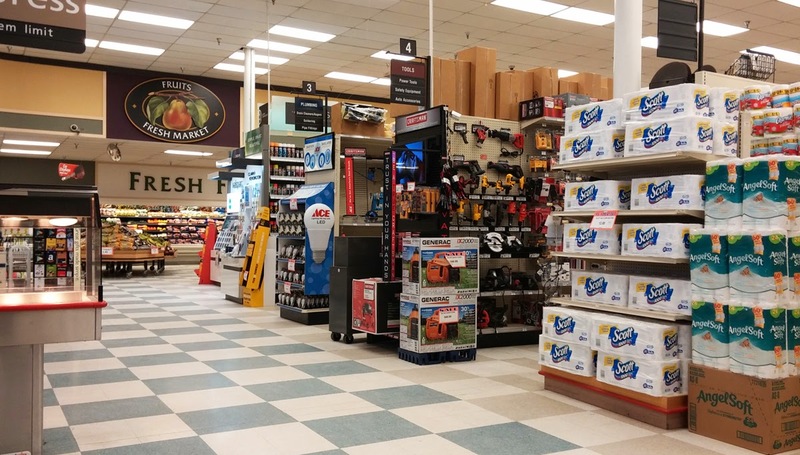 Would make more sense to see some form of SuperValu decor in here. 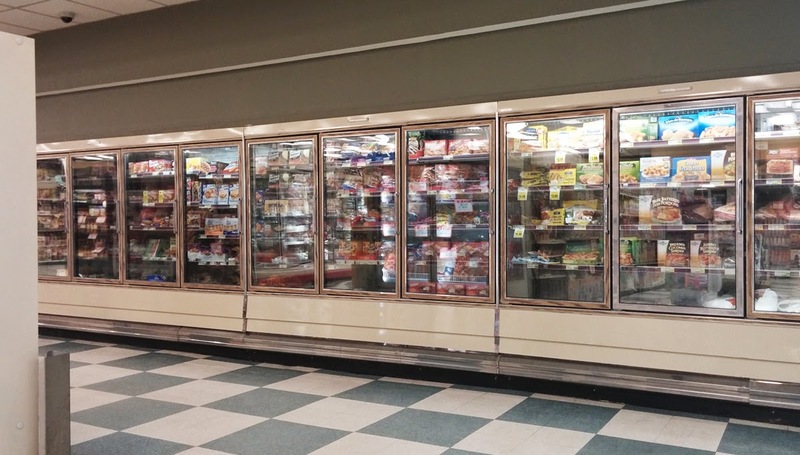 This is a beautiful site! 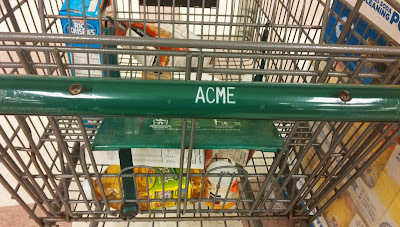 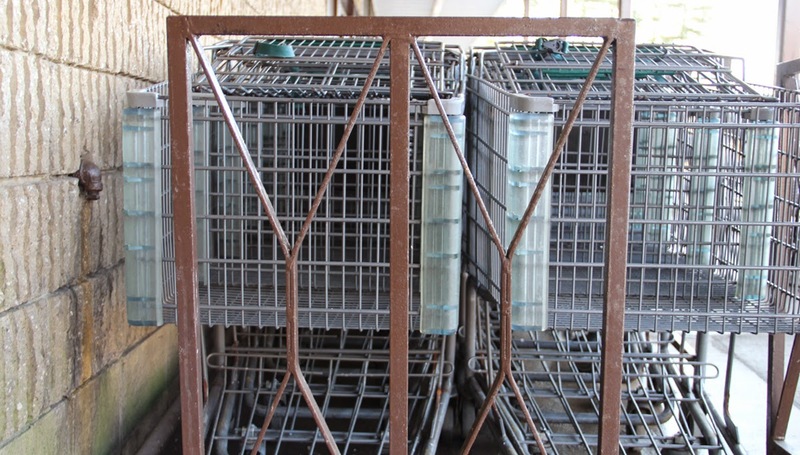 An original Acme cart coral gate. A CVS was located right next to the Acme. 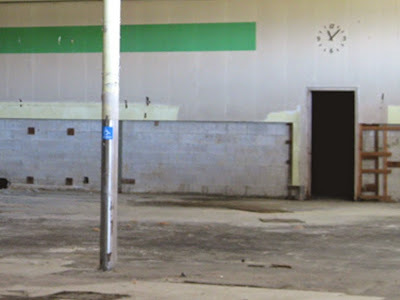 Abandoned now. 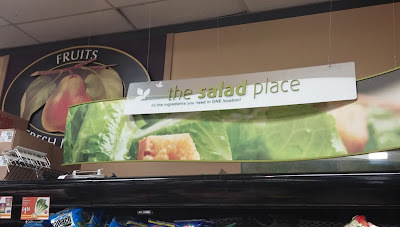 The CVS has relocated. 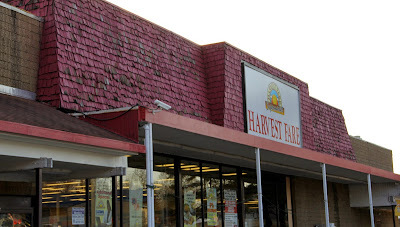 Have to wonder about the after of Harvest Fare with the rest of the center dying a pretty miserable death. 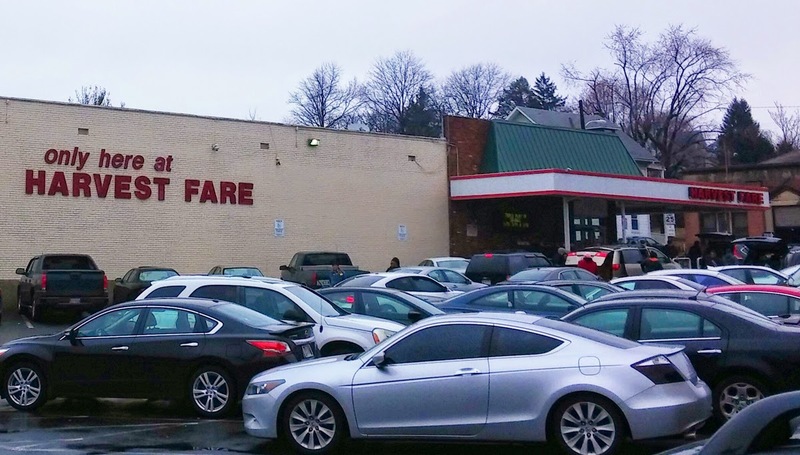 We're swinging by Harvest Fare's other location which is located in Baltimore City and strangely enough has the Safeway decor as well. 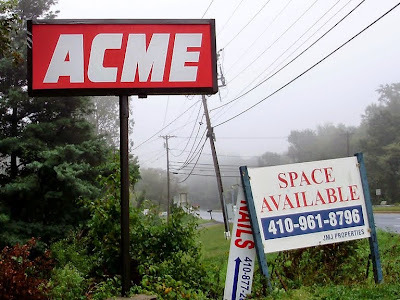 AND... was also a former Acme! It's true. 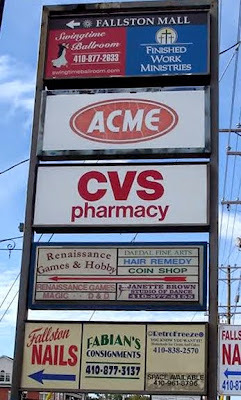 Acme opened here July 14, 1954 and closed in 1981. 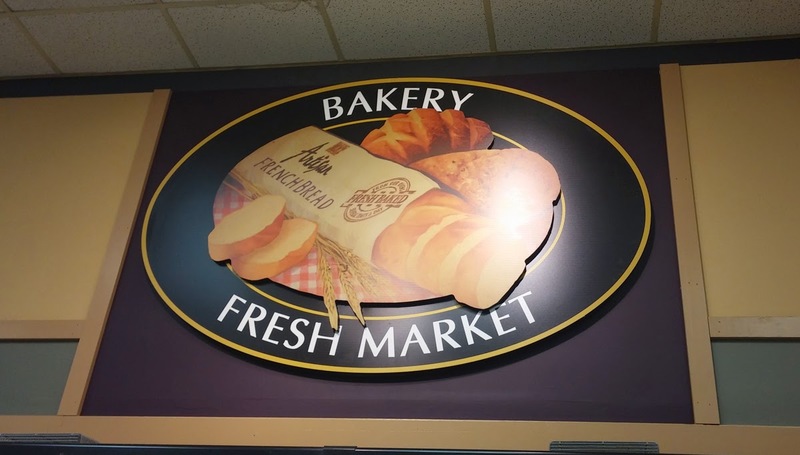 Now we see some signage from SuperValu! Air vents running along the top of the far wall commonly seen in 50's Acmes. 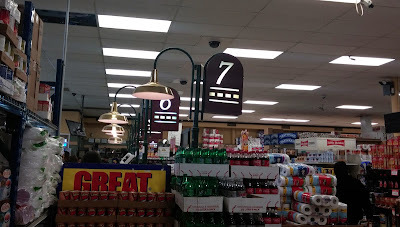 Surprising to see 7 registers for such a small store. 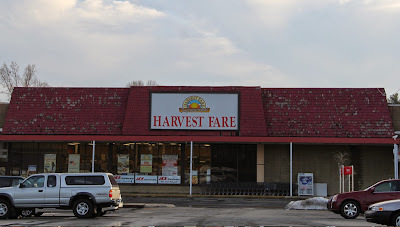 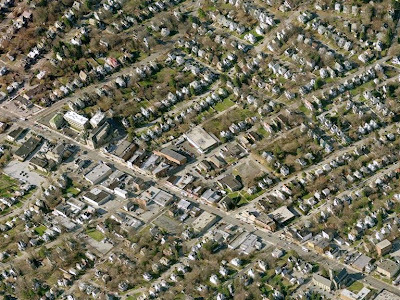 Harvest Fare is right in the middle of the picture. 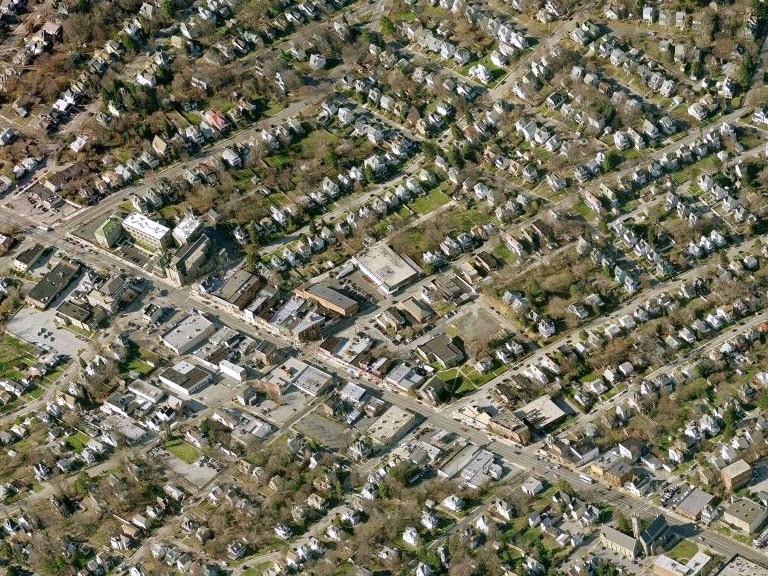 Quite a densely populated area. A real Safeway store is about a mile down the road. 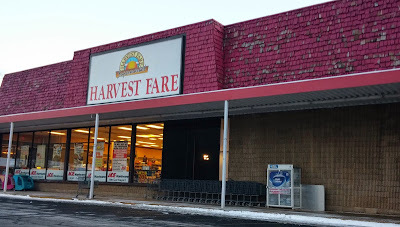 Judging from the parking lot, Harvest Fare does pretty well. 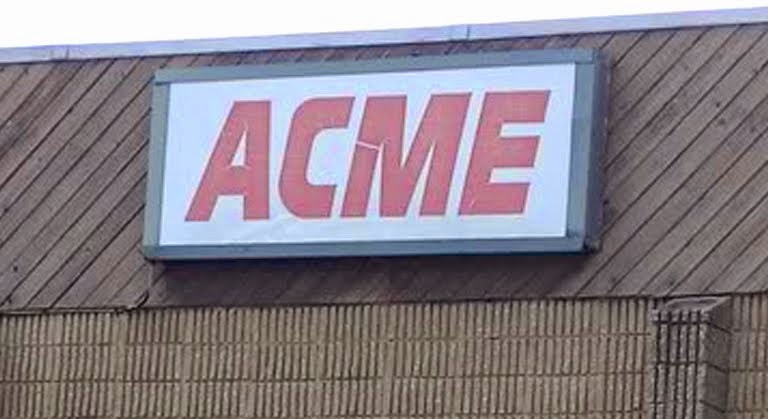 Acme put on a small addition to the far side of the store. The white section along the back is the addition which may have been there as of 1964. It's a little hard to tell in the historic images. 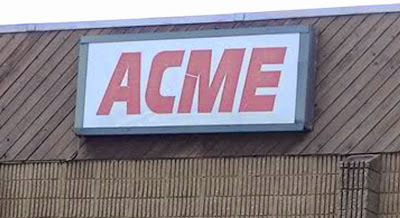 Acme still operating here in 1971. 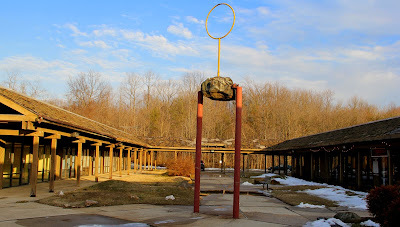 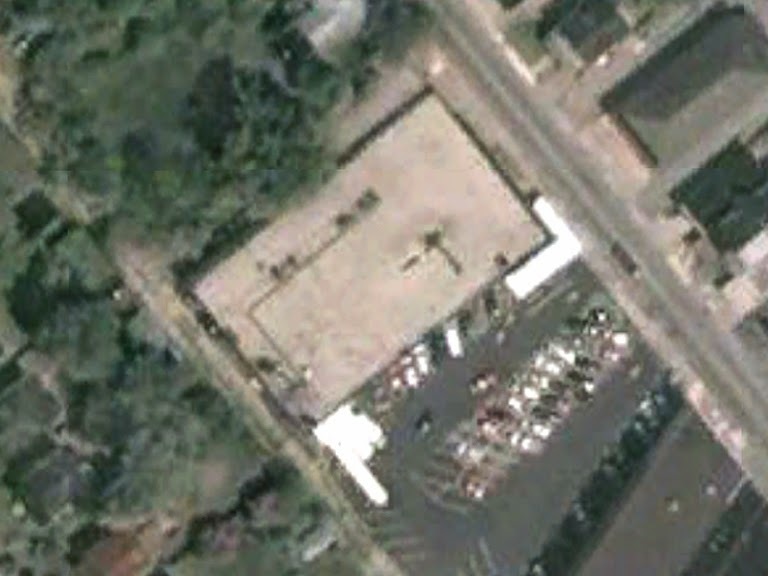 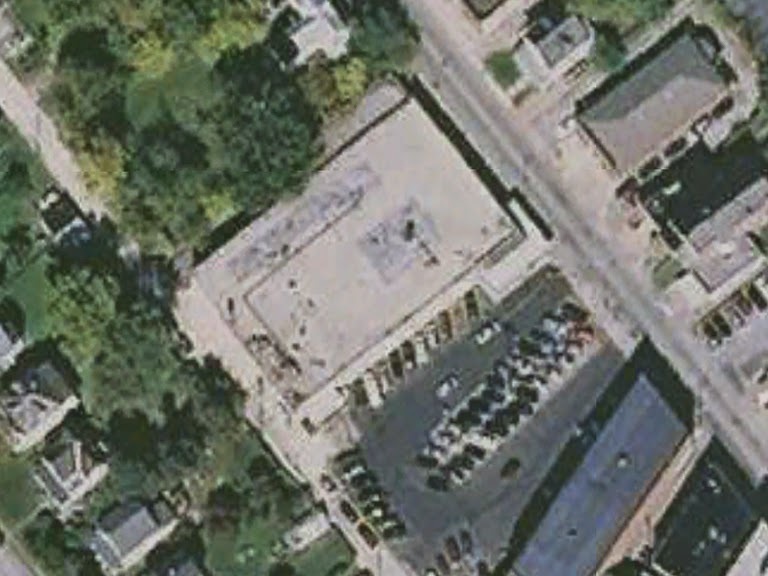 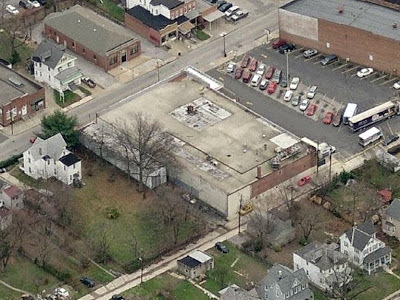 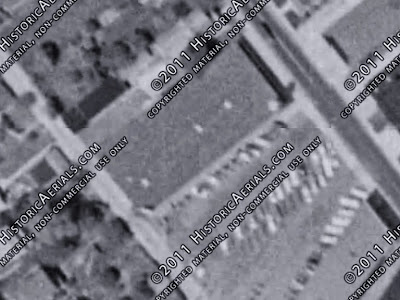 I took a closer look at this historic view over on historicaerial.com and the addition was indeed complete by 1964. Check out the shadow from the tower! Grand Reopening of Chestertown Acme! 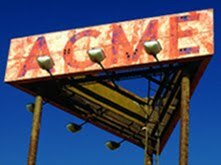 Acme Saves You Money Circular! Glen Mills Gets The Frosted Mug!